Our luxurious Studio Suites offer the ultimate in privacy and are well appointed, exceeding all the needs of the business executive or leisure traveler. With heated granite bathroom floors, spacious walk in showers, coffee & tea makers, microwave ovens, and in room stocked refrigerator. Our Studio Suites are available in single or double occupancy by offering one or two queen size luxury Simmons Beauty Rest beds. Unwind on the expansive outdoor balcony featuring relaxing furniture to enjoy the expansive views of Northumberland Strait. 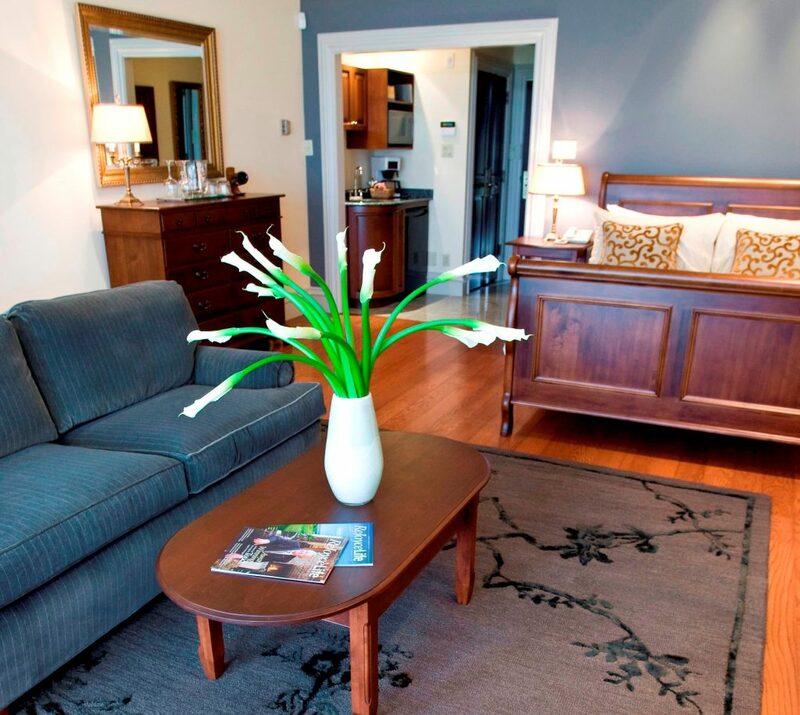 Great getaways begin at Fox Harb’r and your perfect vacation is just a click away. To book your Studio Suite, please call Resort Reservations at 1.866.257.1801 or book online today.